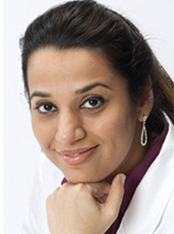 Dr. Khimiya Paryani has been practicing Dentistry for over 18 years. She graduated from the Endodontic Residency Program at Columbia University in New York and has a Doctor of Dental Medicine degree from Nova Southeastern College of Dental Medicine in Florida where she ranked #2 in her class. Dr. Paryani has in-depth knowledge of the practices, principles and techniques of endodontic dentistry and is able to perform simple and complex root canals of all teeth. Dr. Khimiya Paryani possesses extensive knowledge of Surgical Endodontics and one visit root-canal treatment procedures. Dr. Paryani is a member of the American Dental Association and the American Association of Endodontists. The information presented on this site is of personal opinion and consequently is slanted and biased and not based on proper scientific research. The information presented is NOT written by a dental expert. Further the information presented has NOT been subjected to peer review by experts to verify accuracy and data integrity.Copyright Dental Arts Press. 2011. Keywords: scarsdale advances oral surgery, scarsdale advanced orthodontist, scarsdale pedodontist, scarsdale advanced endodontist, Westchester oral surgery, Wecthecter orthodontist, Westchester pedodontist, Westchester endodontist, Scarsdale teeth extraction, Scarsdale braces, Scarsdale invisalign, Scarsdale root canals, Scarsdale wisdom teeth extractions, Scarsdale sedation, Scarsdale emergency oral surgeon, Westchester teeth extraction, Westchester braces, Westchester invisalign, Westchester root canals, Westchester wisdom teeth extractions, Westchester sedation, Westchester emergency oral surgeon.